In 2018, Danish shoe manufacturer ECCO was looking for ways to firmly establish their brand in US markets. We helped them create a path to success and a strategy for promoting their products domestically. ECCO was rolling out a new brand positioning and ad campaign to introduce a new product line. While beautiful, the “Perpetual Natural Motion” campaign was more focused on the high quality materials and manufacturing process rather than the shoes themselves. We saw an opportunity to do both. Our multi-pronged approach attacked communication with new ECCO audiences from two sides: ECCO communicating directly with specific male and female personas through digital advertising, and advocates with access to large communities promoting the brand on ECCO’s behalf. 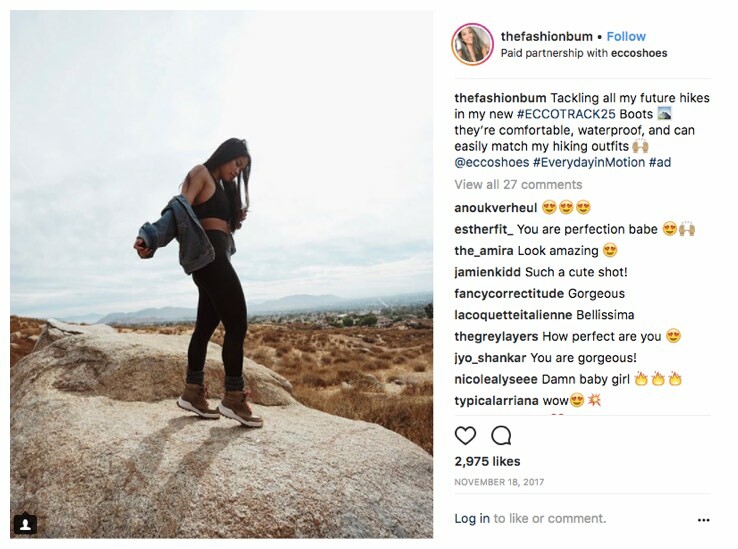 The former took the form of a complex sequential messaging media campaign that drove new users down the funnel starting with brand video through product banners. The latter was influencer-driven and designed to deliver validation of the products. Our sequencing campaign identified a predetermined frequency of brand impressions to be delivered per user. Different target segments received awareness messaging in the form of video ads for the initial and subsequent exposures. The next series of impressions was delivered in the form of product/acquisition-based banner ads. This approach ensured new users were exposed to the brand messaging, allowing the prospecting pool to continually be populated in order to effectively convert against it. It’s one thing to promote yourself, but it's better when someone else does it for you. 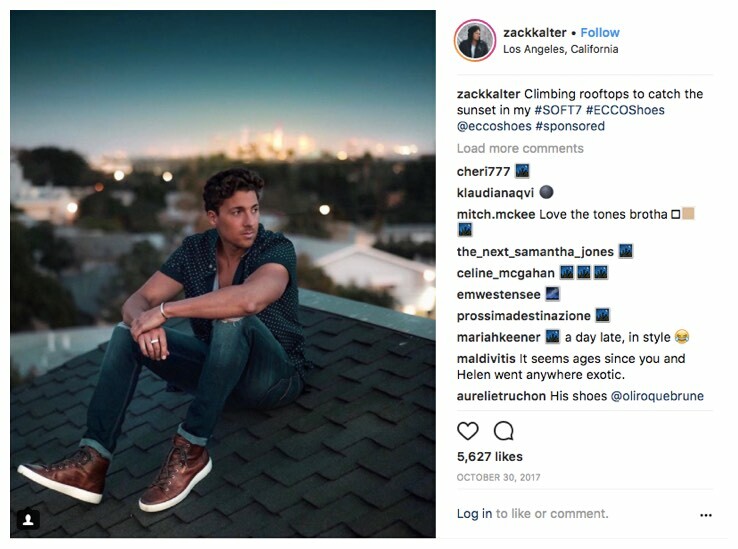 We identified 10 active lifestyle influencers who connected with ECCO’s customers, provided them with 2 different lines of shoes and asked them to post an interpretation of “Perpetual Natural Motion” to their social channels. Forty-seven unique posts produced meaningful influencer and consumer commentary. 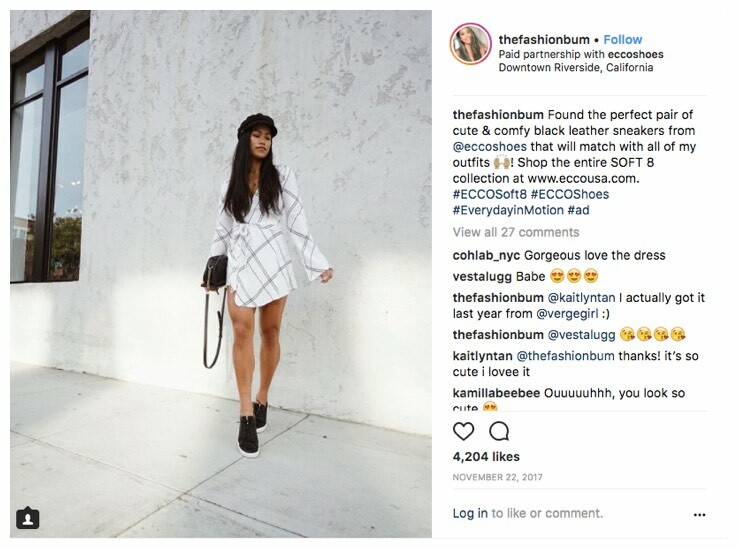 The campaign reached more than 1.3 million across Instagram and Facebook with a combined 1.9% engagement rate - well above fashion industry averages. 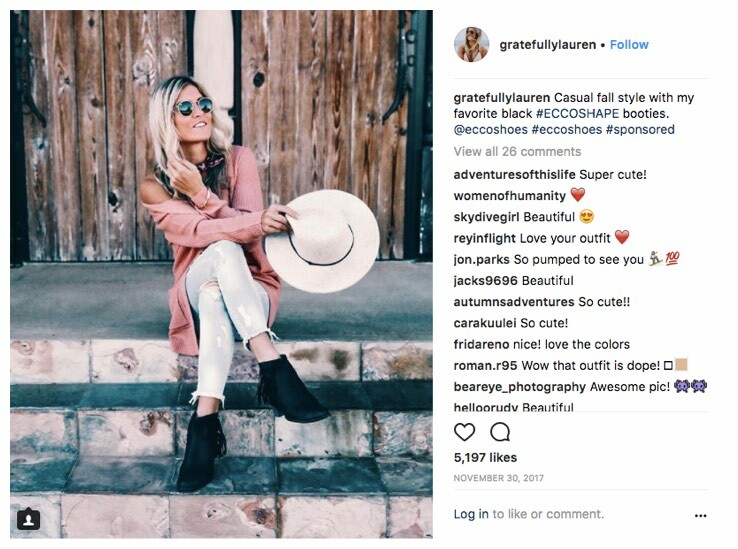 Forty-seven unique posts produced meaningful influencer and consumer commentary. 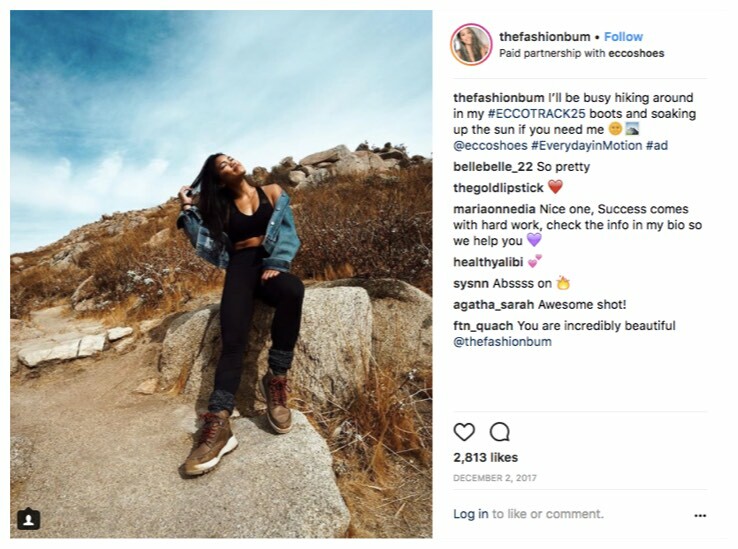 The campaign reached more than 1.3 million across Instagram and Facebook with a combined 1.9% engagement rate – well above fashion industry averages.